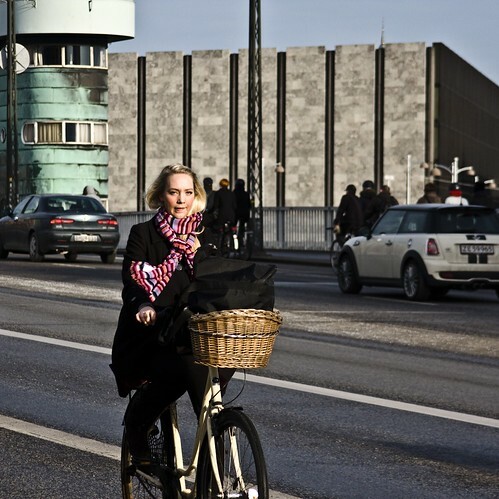 A Copenhagener on her bicycle in the morning light crossing the iconic Knippels Bridge, complete with the iconic copper green drawbridge tower and the iconic National Bank by the iconic designer Arne Jacobsen in the background. Don't get much more CPH'ish than this. too much use of "iconic"